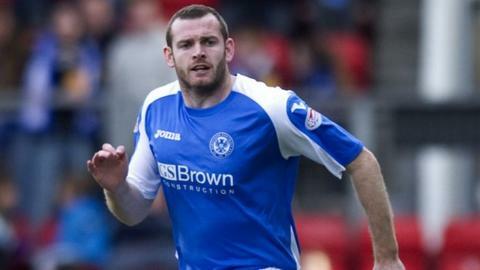 Craig Beattie has become a free agent after having his contract at St Johnstone terminated by mutual consent. Beattie has recently been training with Notts County but no move has materialised. Last season, the former Celtic striker helped Hearts win the Scottish Cup and before signing for Saints. "The contract between St Johnstone FC and Craig Beattie has been terminated by mutual consent," said a St Johnstone spokesman. "The club wishes Craig every future success."